Since 2012, applications to our annual Summer Innovation Program (SIP) have grown year over year in terms of quality, geographic reach, major, and diversity. This year we received applications from over 250 undergraduate and graduate students representing an 66 colleges and universities from around the world – making it one of our most competitive years ever. Choosing only 25 as interns was very challenging. After many long hours of discussion, the committee selected a really talented group. This summer’s SIP19 team will be made up of interns from 16 institutions including Becker College, Berklee College of Music, Brown University, Cornell University, Emerson College, Lesley University, Letterkenny Institute of Technology (Ireland), Maine College of Art, MIT, Mt. Holyoke College, Northeastern University, RPI, RIT, School of Visual Arts, Wellesley College and WPI. SIP19 begins on May 14 and concludes on August 11. Over those 12 weeks or so, with guidance from staff and industry mentors, SIP19 teams will be responsible for all the work necessary to prepare a game for launch. Simply put, there is no internship program like it in the world. As in prior years, SIP19 interns will receive housing courtesy of Becker College as well as a modest stipend. Most importantly they will all receive the greatest game development experience of their lives. Sure, it may be a lot of work but it’s also a lot of fun – we can’t wait to get started. Line Slider, a free, fun and exciting side-scroller, is available for download now on the Apple App Store and Google Play. Paint and slide your way around as Bip, a mischievous vandal intent on mayhem! Paint and draw your way through foreign lands where the villagers can’t stand you and the bigger the mess you can make, the better! Cruise through rolling green hillsides and quaint villages, but be sure to escape the grasp of the angry villagers! Forget about being a hero, bad guys have all the fun! How many villages can you leave you vandalize before you get caught? 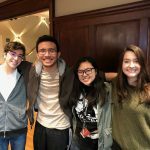 The mobile game was created during the 2018 MassDiGI Summer Innovation Program (SIP) by students Dain Woods from Brown, Victoria Yong from Becker, Alice Li from Wellesley, Nick Carbonara from NYU, Zena Abulhab from Colby and Maxime Gautier from Berklee College of Music. Working over the summer, the team produced a beta/near-release version of the game – watch the trailer here. From there, we brought the game into our LiveStudio program at Becker during the fall ’18 and spring ’19 semesters. Through LiveStudio, more students across a range of disciplines, including business students, had roles in polishing the game and getting it ready to launch. For a roster of all the contributors to the game, check out the credit roll. You can download Line Slider today for iOS and Android. 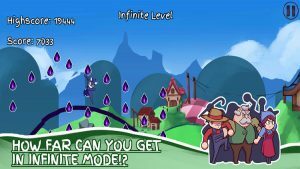 Spell Strike, a free, fun, arcade-style game, is available for download now on the Apple App Store and Google Play. 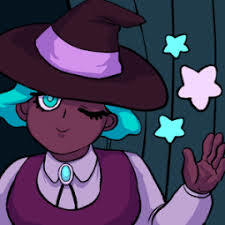 Play as a magical witch who must defend her town from destruction at the hands of evil monsters! Hone your skills and tap your way to victory! Cast your spells against the demons and monsters crawling their way out of the underworld through dangerous portals! Do you have what it takes to be the guardian of your town? 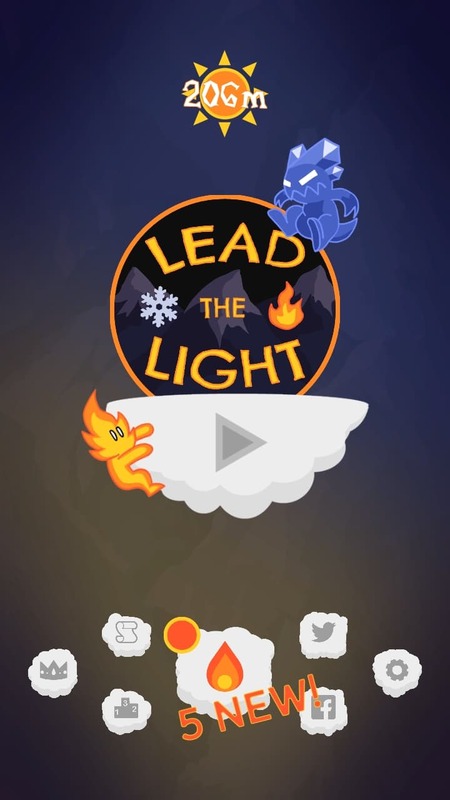 The mobile game was created during the 2018 MassDiGI Summer Innovation Program (SIP) by students Leo Bunyea from WPI, Xijie Guo from Mt. Holyoke, Chloe Tibets from Becker, Aaron Kang from Swarthmore, Tolga Sen from UMass Boston, Melody Cheng from RISD and Maxime Gautier from Berklee College of Music. 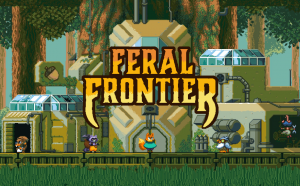 Working over the summer, the team produced a beta/near-release version of the game – watch the trailer here. From there, we brought the game into our LiveStudio program at Becker during the fall ’18 and spring ’19 semesters. Through LiveStudio, more students across a range of disciplines, including business students, had roles in polishing the game and getting it ready to launch. For a roster of all the contributors to the game, check out the credit roll. You can download Spell Strike today for iOS and Android. CyberDrive 2077, an intense fast-paced, action-packed arcade-style endless runner, is available for download now for free on the Apple App Store and Google Play. Race your car through a neon digital landscape at breakneck speeds and drive through endless and challenging obstacles that block your path. The system is trying to stop you, but can’t hold you forever. Break the firewall, infiltrate the system, enter the mainframe. You’re the last hope of society. Can you survive? 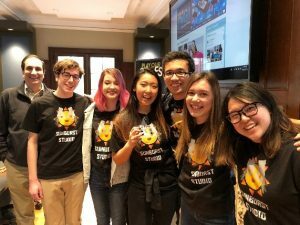 The mobile game was created during the 2018 MassDiGI Summer Innovation Program (SIP) by students Trisha Surve from CMU, Eva Khoury from Pratt, Bert Calderon from Becker, Reuben Heatley Mulhall from LYIT (Ireland), Andrew Rogers from Becker, Tori Rossini from RIT and Maxime Gautier from Berklee College of Music. Working over the summer, the team produced a beta/near-release version of the game – watch the trailer here. From there, we brought the game into our LiveStudio program at Becker during the fall ’18 and spring ’19 semesters. Through LiveStudio, more students across a range of disciplines, including business students, had roles in polishing the game and getting it ready to launch. For a roster of all the contributors to the game, check out the credit roll. You can download CyberDrive2077 today for iOS and Android. Due to the distribution of competitors this year the Grand Prize winner will be selected from the winners of each of the above categories. Total competitor pre-registrations: 37.